Google Drive for iOS updated, now lets you add comments and image swiping, download now! 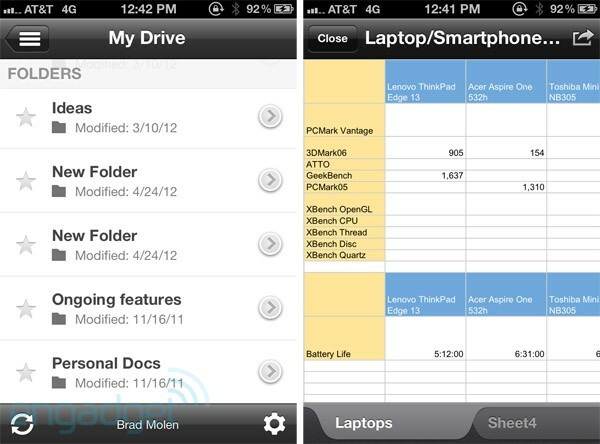 After the last update two months ago, Google today updated its native Google Drive App for iOS devices. The new update now supports comments and image swiping. As a user, how is this going to help? Ok, the comment support for Google Docs files means that now you can now create, view and reply and resolve comments directly from within the App. Which effectively means that you can do this within the App with multiple friends onboard. The updated Drive App also lets you browse through all your images on your iPhone or iPad by simply swiping through them. All these come in addition to the 15GB free space Google Drive provides to individual username. If you own a iOS device, get the updated Google Drive from here. Please comment in on the changes in the App and their use to you.